The Atlantic correspondent and MacArthur ‘Genius’ makes appearance at the Carter Center to promote his new book. Ta-Nehisi Coates spoke at the Carter Center on Oct. 20. 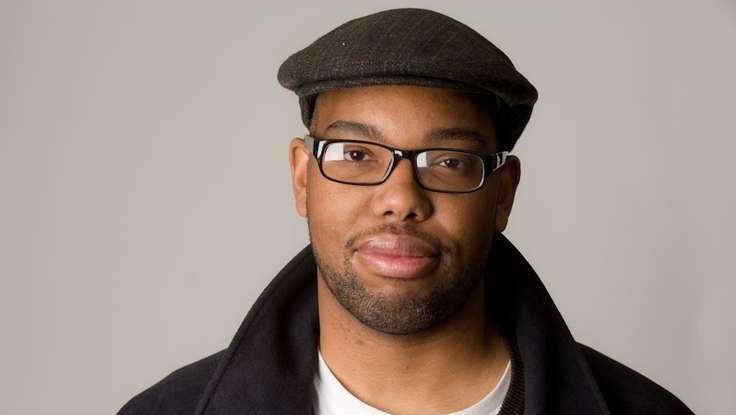 Before Ta-Nehisi Coates became a MacArthur Foundation-appointed genius, the 40-year-old national correspondent for The Atlantic had scheduled a fairly standard appearance in Atlanta to promote his second book, Between the World and Me—a 152-page letter addressed to his teenage son about being black in America. 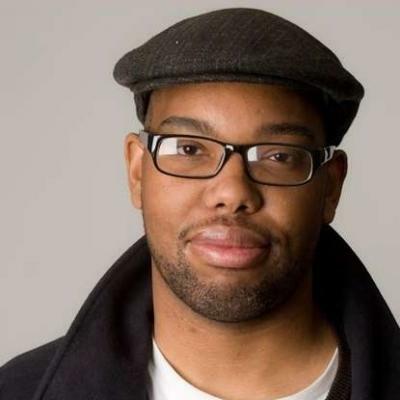 A lot has changed since his bestseller was rushed to stores last July: In addition to that MacArthur Foundation “Genius” grant, he’s also earned a 2015 Kirkus Prize and a nomination for a National Book Award, and inked a deal to write a Black Panther comic for Marvel. At a sold-out event last night at the Carter Center, the influential writer—and perhaps the nation’s foremost public intellectual—discussed exactly what you’d expect: race and racism in America. But to hear Coates break down society’s complexities with persuasive simplicity and even humor is a far different experience than reading his rigorously reported manifestos on slavery or mass incarceration. Over the course of a 50-minute conversation moderated by Georgia House Minority Leader Stacey Abrams, Coates mused on the historical roots of American racism, the legacy of Rev. Martin Luther King, Jr., and the role his work plays in the greater debate of race relations across the nation. To kick things off, Abrams asked Coates, clad in a blue cardigan and faded jeans, whether he thought race begat racism, or the other way around. “There’s no definition of race without racism before it,” said Coates without hesitation. Pointing back to the 17th century, when English settlers established the colony of Jamestown, he noted how bonded classes of black slaves and white indentured servants interacted in the same class relatively equally without much in the way of racial boundaries. As the conversation moved to more recent events—including the police killings of unarmed black men like Michael Brown in Ferguson, in Freddie Gray in Baltimore, Tamir Rice in Cleveland—Coates explained that the effects of those past decisions have led to many of the racial disparities witnessed today. For him, that’s particularly evident in an idea such as respectability politics. “Pull your pants, speak proper English, be a good citizen, be a good father, be a good father—I don’t think there’s anything wrong with that,” he noted. The problem lies, he says, when that idea substitutes actual policy solutions for diminishing racial disparities in areas such as education and incarceration. The result, said Coates, is that the price of making a mistake in this country is far greater for blacks than it is whites. As an example, he shared an anecdote about the child of one of his friends, a white Harvard-educated professional. After the son was accused of dealing drugs as a seventh grader, his parents refused to let him be expelled, and he eventually managed to attend Wesleyan University. But if a poor, black child without the same kind of parental support and resources is caught committing the same crime, it’s over for him, said Coates. When Abrams turned the conversation toward the Stone Mountain debate, over whether officials should erect a monument of King Jr. atop the infamous Confederate shrine, Coates refrained from offering specific advice to Atlanta lawmakers. Speaking about the larger movement to remove Confederate flags and landmarks, though, Coates noted that such monuments serve as a necessary reminder of the country’s troubled past. Coates also said he struggles with how Martin Luther King Jr. is remembered today, noting that his teachings of nonviolence are selectively preached. For example, people have denounced the actions of violent protesters in places like Baltimore, but fail to speak out against acts of violence committed by whites (like the rioting that occurred after the firing of Penn State football coach Joe Paterno) or when police officers commit acts of violence. Toward the end of the lecture, Coates characterized his role not as a policy changer, but as a conversation changer. He expressed hope that his journalism, like the award-winning 2014 story, “The Case For Reparations,” will expand the narrow bandwidth of what people consider possible for reforms. Given where he’s been in his life—raised as the son of a Black Panther, lost as a struggling writer fired from several jobs, and found as a now revered cultural commentator—he sees “no other choice” for himself except to keep writing about the nation’s racial struggles.